Publicado el 1 abril 2019 1 abril 2019 de Octavio Islas. Fundador de la revista científica Razón y Palabra. Facebook founder and CEO Mark Zuckerberg penned an op-ed for The Washington Post and Independent.ie last week, in which he voiced his beliefs that there needs to be “a more active role for governments and regulators” in protecting society, while balancing freedom of speech, online. In the letter, Zuckerberg outlined four areas in which he feels new regulation is needed – data portability, election integrity, harmful content, and privacy – and said that, in particular, “internet companies should be accountable for enforcing standards on harmful content”. After meeting with New Zealand government officials following the Christchurch attacks, Facebook Chief Operating Officer, Sheryl Sandberg has said that the social network is “exploring restrictions on who can go Live depending on factors such as prior Community Standard violations”. In addition, the platform is also looking to improve its AI identification tools to help it detect and remove such content faster. Facebook noted that within 24 hours after the attacks, it was able to remove around 1.5 million videos from its platform. The social media giant has announced that it is adding a feature called ‘Why am I seeing this post?’ to News Feed posts. The addition will appear in the drop-down menu on the right-hand side and works in the same way as ‘Why am I seeing this ad?’, which was introduced to the platform in 2014. This move aims to give users greater insight into the platform’s algorithm; why the posts from friends, Pages and Groups have appeared. It will also provide links to personalisation controls, which include See First, Unfollow, News Feed Preferences, and Privacy Shortcuts. Facebook is also introducing a revamped look to its Ad Library with a number of new features. The Ad Library will now display all active ads that a Page runs, available in the Pages’ ‘Info and Ads’ section, including information on political and issue ads – which has previously been available via the Ad Library Report. Ads can also now be reported directly from within Ad Library. Other updates include search within Ad Library being improved and all of the information within the Ad Library being made available on a ‘Page Transparency’ section under the Home tab. WhatsApp appears to be testing a new feature which counts the number of times a messaged is forwarded. 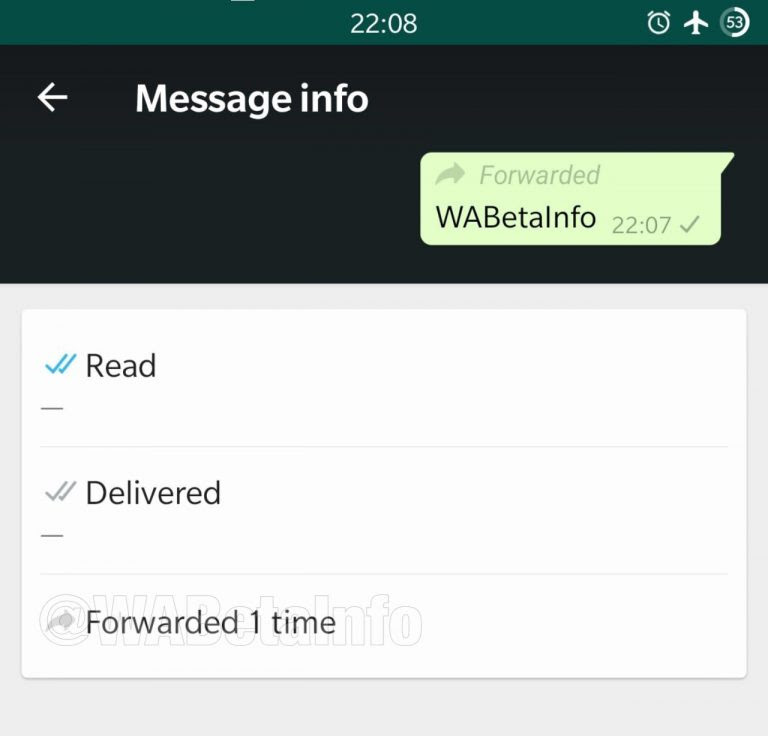 The Next Web reported that WABetaInfo discovered the feature in a new beta version of WhatsApp’s Android app, which also included a ‘frequently forwarded’ label. Snapchat has partnered with Warner Bros. to debut the first-ever voice-activated AR lens to promote a film – specifically, the new superhero movie Shazam. By using the phrase “Okay, Shazam!”, users will be turned into the protagonist himself. A clever move considering half of 13- to 34-year-old users in the US already use Snapchat’s AR Lenses. This activation continues Snapchat’s AR marketing strategy, which saw $281m in Q4 2017 ad revenue. 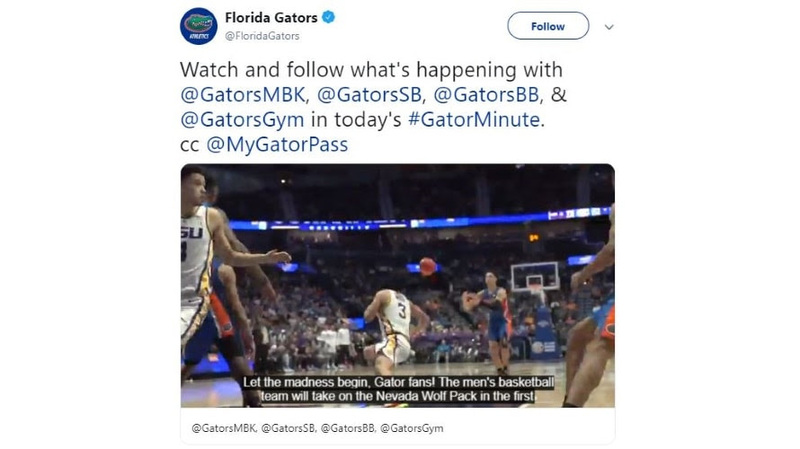 Twitter has introduced a long-awaited update to its video content which will now allow content publishers to add .SRT subtitles to videos on the web, iOS and Android. As video content currently auto-plays on Twitter with the sound muted, it’s something that marketers have sought for some time. Users on iOS and Android will see the subtitles play automatically if the sound on their devices is turned off, or on the web by clicking on the new “cc” toggle. YouTube has confirmed that it has cancelled two of its biggest original series, Origin and Overthinking with Kat & June, but denied that it’s moving away from original content. A recent Bloomberg report claimed that company no longer had plans to compete with the likes of Netflix or Amazon Prime Video. However, a YouTube spokesperson has denied this, claiming that the service currently has several scripted shows in development – with more new and returning hits to be announced soon – as well as plans to develop a new ad-supported model by the end of the year. The post We Are Social’s Monday Mashup #440 appeared first on We Are Social.